These mountains look so much more new & raw, than the parts of the Rockies I’ve seen, in the U.S. Same here. It’s that massive ruggedness that makes them so impressive. I’ve been encouraging people to go and visit that area. That’s a lot of rock. Our Presidential Range in NH is impressive but these are truly awe inspiring. The Canadian Rockies are the most impressive mountains I’ve ever seen. 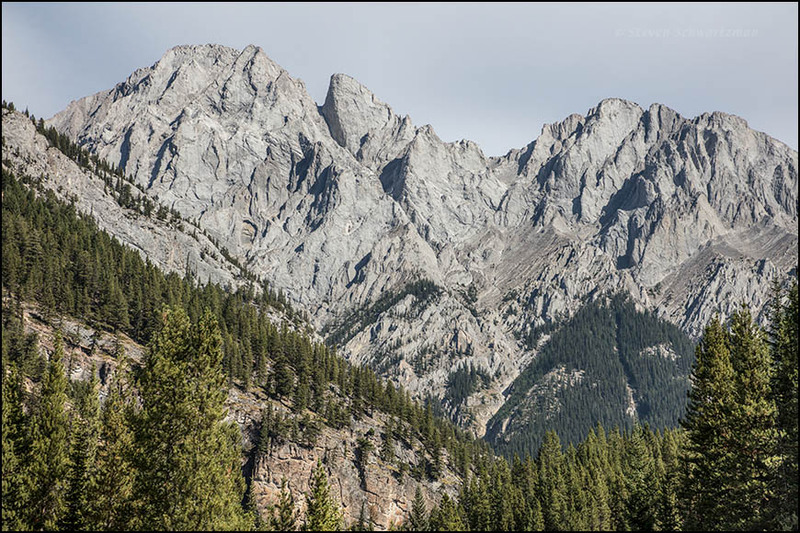 We made the right decision to spend a day in the Kananaskis Range. Did you happen to see the rock glacier while there? We were surprised that something like that even existed. A moving, active rock glacier! 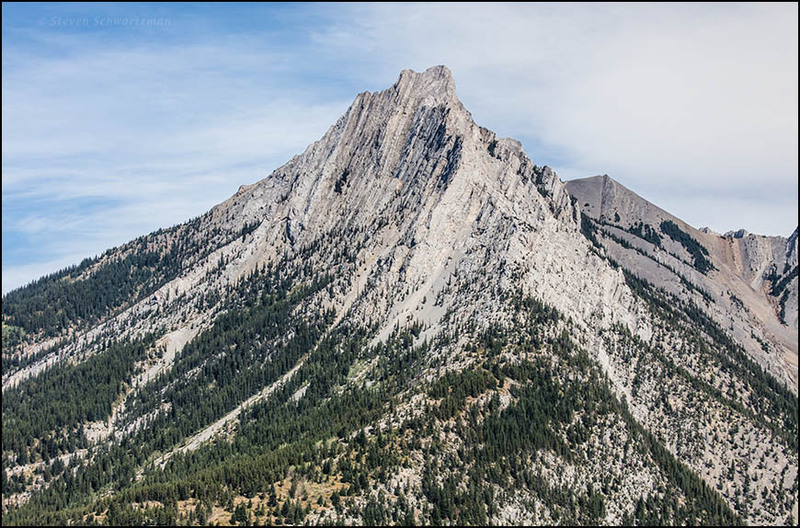 There’s something about these peaks that seems different, and much more impressive than our Rockies. Are they a good bit higher? 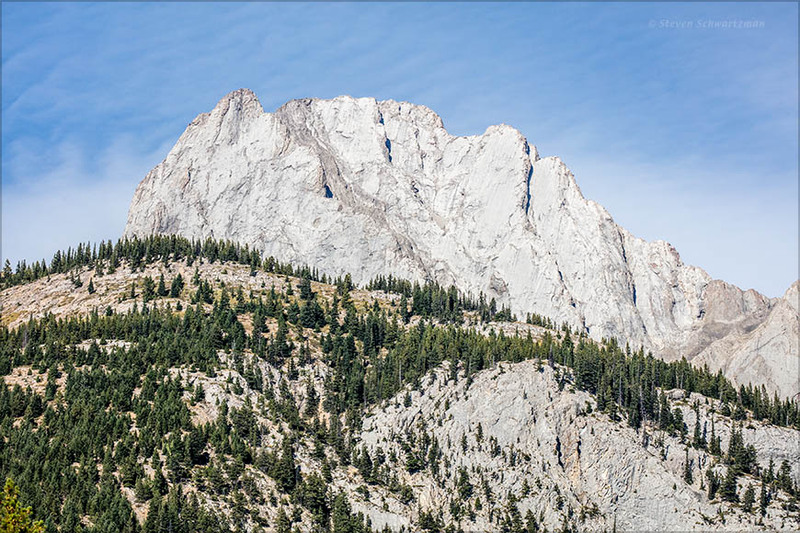 It seems as though there’s more above the treeline than I remember from the U.S. Rockies. These remind me of photos I’ve seen of the Alps, or the Himalayas. There’s a kind of barren, wild beauty to them that’s marvelous. 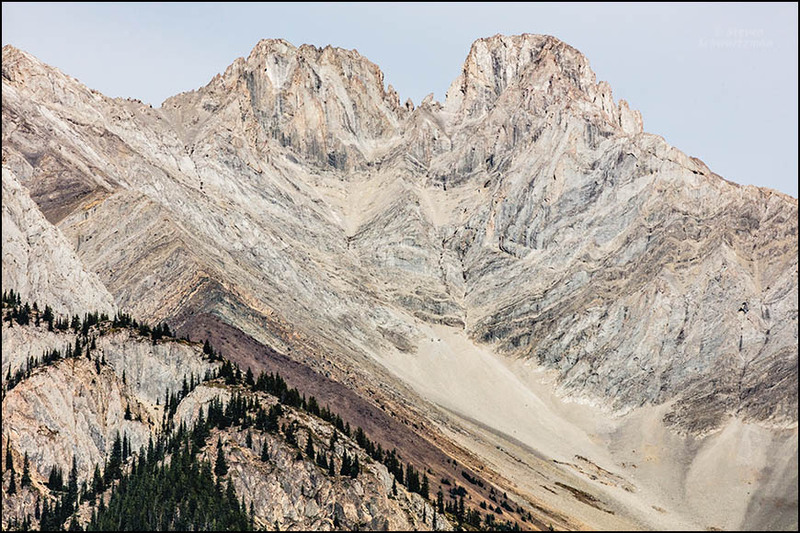 The article also includes a list of “The 50 most topographically prominent summits of the Rocky Mountains.” There you’ll find Canadian peaks better represented. In fact 19 of the 50 in that list are from Canada, including #1. To recast an old saying: it isn’t how tall you make them, it’s how you make them tall. Brock is my last name… what a magnificent rock that is!! Ha ha! Then you can tell people that magnificent rock was named for you. Whether they’ll believe you is another matter. I’ll have to say that as much as I like the mountains in New Zealand, these surpass them. Impressive indeed.